Once again Alex I have no idea what the X MEN are, perhaps it hasn't reaached England as many programmes don't. You wrote an excellent blog about a series you watch and got your "X" word in. With a lot of other super hero movies coming up, and with their possible success, X-MEN might just lose the competition. I was never a huge fan. I watched them mainly for Mystique and Cyclops, that is for my beloved Rebecca Romijn and JAmes Marsden who played them. I'm currently translating my first book series (MASTERS OF THE SEA by JOHN STACK) and I do feel that the story can get boring when a saga has too many tomes and parts. Especially when it's clearly obvious that all of it is done for money and not because the author has many great ideas. When will it end? Really, when will it end? Great post. really got me thinking about these movies that are done and over-done until they simply no longer make money. 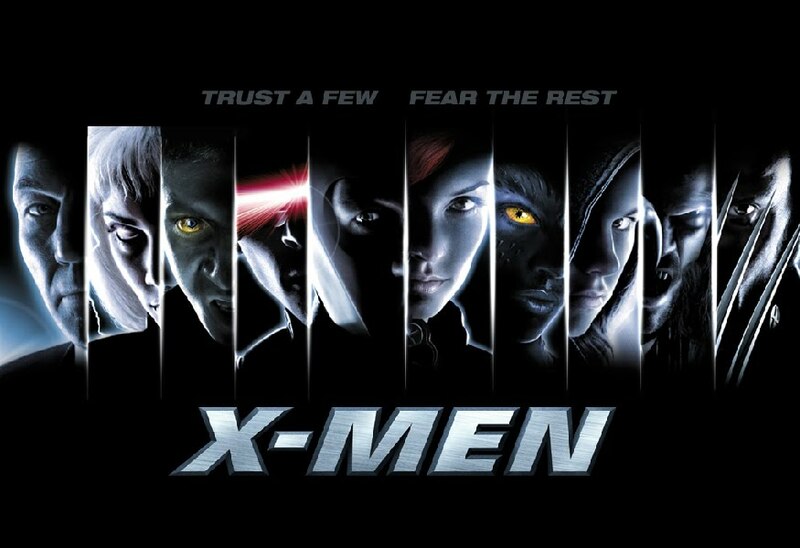 I saw the first and second X-men and enjoyed them. They were entertaining but not so much that I'm willing to keep watching these movies into my retirement. Case in point -- The "Rocky" series. It was a great movie at the time but I prefer to not watch the Rocky where we watch two old wrinkled up men beat each other senseless. Along the same lines is "Rambo." Loved the first movie, and don't get me wrong because David Morrell is a hero of mine, but the sequels were just not the same as the original. That was the movie that just. wouldn't. end. Especially when you had to use the bathroom really badly. The X-Men movies really could go on forever, if they hadn't effed up the stories in the first few. I read the comics and watched the early 90's cartoon religiously, so X-Men was a huge part of my childhood. I have a mostly hate-hate relationship with the films they made, outside of casting Patrick Stewart and Hugh Jackman. For me personally I love this kind of thing. If I really enjoy a world or story I never want it to end. I own the special extended versions of the LOTR films, and I don't watch them often, but I DO watch them. I also own all the background books for that world and even some of the ones his son wrote just based on his completely disorganized notes. I'm not nearly as deeply into X-Men as I am into LOTR but I'll put up with endless sequels as long as they don't start getting lazy with them. I saw the origins movie and though it wasn't quite as good as the earlier ones it wasn't bad. Good point about Rambo and Rocky though JL. That being said when it comes to commercial success in publishing these days this kind of thing seems to be a major no-no. ugh. for anyone who was even remotely familiar with the X-men comics, that third movie was just a huge travesty. So terrible on so many levels. I thought the first 15 minutes of Wolverine were excellent and then the movie went downhill. Laurel K Hamiltons series (both of them) have been running extra innings for quite awhile. And yet, i keep reading them. I'm not an X Men follower. But I think I read somewhere that with EBooks, one future marketing feature may be the option for a reader to read different endings for an ebook...written by the author or course. You're going to start thinking I don't see any movies, but I haven't seen any of the X Men movies--been wanting too, but just haven't. When you only watch 1 or 2 movies a week you don't see many. I agree about Rocky. Once made sense, after that it started getting silly. I like the concept of sequels and series, but I'm often disappointed and start getting bored. In my current WIP, I've started with what I think is a good opening and then wrote the ending. I'm having some problems in the middle, but probably because I haven't been focusing on it lately. I don't really have a problem with endings. I usually come up with the ending first. And that evolves into a story. I enjoyed all of the X-Men movies so I don't care if they keep going. I'll keep watching. I like the X-Men movies and hope they continue for a while yet! Alex great post as usual! I actually liked the origins movie. More than the third movie actually. I agree with Summer - Fellowship was just too long. And the crazy thing is that they didn't even film the last chapter of the book. It could have been longer! They'll simply come up with totally new characters of X-men once people stop paying money to see the originals. Maybe they'll spawn off a new generation of mutants, the children of the original X Men. I'd rather have too many endings than not enough. I hate movies and novels where it feels as if the writer(s) said, "Oh, time to end it now." And the ending is totally unsatisfying. Or where the ending has nothing to do with the story. Hmmm I liked the multiple endings at the end of the third Lord of the Rings movie, but in a book series? It can be overkill. I think I would have to really care about the characters and the story that I'm reading to want to know that much about how they all end. When writing, I never have trouble ending a story (or beginning one, for that matter) - it's the saggy middle where I struggle! In a way, I'm working on this. I ended the book then on re-read, I realized I'd fail to close an important thread. Now, I'm going back to do that. I'm a huge fan of comic book movies, so it won't bother me at all if they continue making them - as long as they are done right, unlike some of the embarrasingly bad entries we've seen (cough*Daredevil*cough*Elektra*cough*Eric Bana Hulk Movie*cough). As far as books go though, I have seen series that should have been stopped long ago. Is the Xanth thing by Piers Anthony still on-going? Now there's an example of a series that should have died YEARS ago. Great post, great food for thought. Keep us posted, Dez. And sad when books are created just for the sake of making money. JL, I think you just described Rocky X, and it's not a pretty sight, is it? Summer, I'm sure if I'd read the comics I wouldn't like the movies either. And *cough* I really dug LOTR! Matthew, I have all the LOTR extended editions and still plan to spend a whole Saturday watching them back to back. Liza, that's an interesting concept! Arlee, I need to invite you over for a movie weekend and see how many we can cram into two days. And I'm still working on the middle of my next project, too. Stephen, don't give them any ideas! Carol, I've read those types as well. Julie, I'm fighting one of those saggy middles right now. Helen, just be glad you caught it! Hampshire, Wheel of Time is exactly the series I was thinking of when I wrote this post. I gave up years ago because there was no end in sight. Give me a good clean ending everytime. In movies I note lots that don't seem to know how to end. The Alien saga comes to mind! I knew where I wanted Book II to end, as that wrapped up the biggest dilemma, but there were many smaller conclusions before that point. This resulted in a book I wish I'd pared down even shorter, but oh well! Good X choice. I was a BIG X-Men comic book fan as a kid! Interesting post. I am not an x-men fan, but like other sci fi movies. Have you ever seen Buck Rogers? A sci fi movie made over 60 years ago. ha. Diane, the Alien movies should've ended with Aliens. Grammy, I saw the one in 1980, but not the really old one! For some reason, I couldn't bring myself to see the third, but I loved the first two. A lot. I agree, sometimes they just need to tie it up, put a bow on it and be done. Rocky comes to mind, I lost interest after 3, enough already! Maybe I am missing out, but I was tired and moved on. I don't like endings to go on and on. If you want to leave us with a possible sequel, okay, but on n' on...tires me out! I love the original X-Men movies. I think they need to stop or do something more forward moving. Something different. I love the LotR movies and books but I think the ending drags on forever. I rarely watch the last chunk. I'm convinced the absolute worst bit in every single project i've undertaken is the last page/paragraph. It's so hard to just shut up!